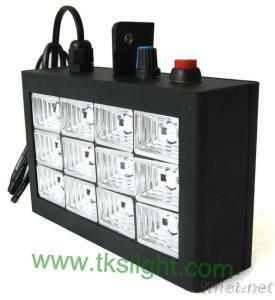 This LED strobe have 12PCS LED, you can choose white LED or RGB LED, it is very easy to operate, you just need to twist the knob of the back, the light can be controlled by sound, and can be auto operate, and the speed can be adjustable. Welcome to order our products. the best choose!